We reserve the right to withdraw or amend this Website and any service or material we provide on the Website, in our sole discretion, without notice. We will not be liable if for any reason, all or any part of the Website is unavailable at any time or for any period. From time to time, we may restrict access to some parts of the Website, or the entire Website, for users, including registered users. The Website and its entire contents, features and functionality (including, but not limited to: all information, software, text, displays, images, video and audio, and the design, selection and arrangement thereof), are owned by the Company, its licensors or other providers of such material and are protected by United States and international copyright, trademark, patent, trade secret and other intellectual property or proprietary rights laws. If you wish to make any use of material on this Website other than that set out in this section, please address your request to: info@BedderCovers.com. • Use the Website in any manner that could disable, overburden, damage, or impair the Website or interfere with any other party's use of the Website, including their ability to engage in real-time activities through the Website. • Use any process to monitor or copy any of the material on the Website or for any other unauthorized purpose without our prior written consent. Without limiting the foregoing, we have the right to fully cooperate with any law enforcement authorities or court order requesting or directing us to disclose the identity or other information of anyone posting any materials on or through the Website. YOU WAIVE AND HOLD HARMLESS THE COMPANY AND ITS AFFILIATES, LICENSEES AND SERVICE PROVIDERS FROM ANY CLAIMS RESULTING FROM ANY ACTION TAKEN BY THE COMPANY AND ANY SUCH PARTIES OR LAW ENFORCEMENT AUTHORITIES DURING OR AS A RESULT OF ITS INVESTIGATIONS AND FROM ANY ACTIONS TAKEN AS A CONSEQUENCE OF INVESTIGATIONS BY EITHER THE COMPANY AND ANY SUCH PARTIES OR LAW ENFORCEMENT AUTHORITIES. The rights contained in this section in no way create any obligations for the Company. We cannot review all material before it is posted on the Website and cannot ensure prompt removal of objectionable material after it has been posted. We assume no liability for any action or inaction regarding transmissions, communications or content provided by any user or third party and have no liability or responsibility to anyone for performance or nonperformance of the activities described in this section. We may update the content on this Website from time to time, but its content is not necessarily complete or up-to-date. Any of the material on the Website may be out of date at any given time and we are under no obligation to update such material. You understand that we cannot and do not guarantee or warrant that files available for downloading from the Internet or the Website will be free of viruses or other destructive code. You are responsible for implementing sufficient procedures and checkpoints to satisfy your particular requirements for anti-virus protection and accuracy of data input and output, and for maintaining a means external to our Website for reconstruction of any lost data. ANY LOSS OR DAMAGE CAUSED BY A DISTRIBUTED DENIAL-OF-SERVICE ATTACK, VIRUSES OR OTHER TECHNOLOGICALLY HARMFUL MATERIAL THAT MAY INFECT YOUR COMPUTER EQUIPMENT, COMPUTER PROGRAMS, DATA OR OTHER PROPRIETARY MATERIAL DUE TO YOUR USE OF THE WEBSITE OR ANY SERVICES OR ITEMS OBTAINED THROUGH THE WEBSITE OR TO YOUR DOWNLOADING OF ANY MATERIAL POSTED ON IT, OR ON ANY WEBSITE LINKED TO IT. YOUR USE OF THE WEBSITE, ITS CONTENT AND ANY SERVICES OR ITEMS OBTAINED THROUGH THE WEBSITE IS AT YOUR OWN RISK. THE WEBSITE, ITS CONTENT AND ANY SERVICES OR ITEMS OBTAINED THROUGH THE WEBSITE ARE PROVIDED ON AN "AS IS" AND "AS AVAILABLE" BASIS, WITHOUT ANY WARRANTIES OF ANY KIND, EITHER EXPRESS OR IMPLIED. NEITHER THE COMPANY NOR ANY PERSON ASSOCIATED WITH THE COMPANY MAKES ANY WARRANTY OR REPRESENTATION WITH RESPECT TO THE COMPLETENESS, SECURITY, RELIABILITY, QUALITY, ACCURACY OR AVAILABILITY OF THE WEBSITE. WITHOUT LIMITING THE FOREGOING, NEITHER THE COMPANY NOR ANYONE ASSOCIATED WITH THE COMPANY REPRESENTS OR WARRANTS THAT THE WEBSITE, ITS CONTENT OR ANY SERVICES OR ITEMS OBTAINED THROUGH THE WEBSITE WILL BE ACCURATE, RELIABLE, ERROR-FREE OR UNINTERRUPTED, THAT DEFECTS WILL BE CORRECTED, THAT OUR WEBSITE OR THE SERVER THAT MAKES IT AVAILABLE ARE FREE OF VIRUSES OR OTHER HARMFUL COMPONENTS OR THAT THE WEBSITE OR ANY SERVICES OR ITEMS OBTAINED THROUGH THE WEBSITE WILL OTHERWISE MEET YOUR NEEDS OR EXPECTATIONS. 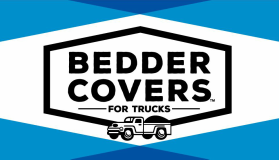 This Website is operated by Too Blue Industries, Inc. All other feedback, comments, requests for technical support and other communications relating to the Website should be directed to: BedderCovers@gmail.com.